More than a few AFL commentators have labelled Carlton beast Charlie the Curnow the man who "could be anything". 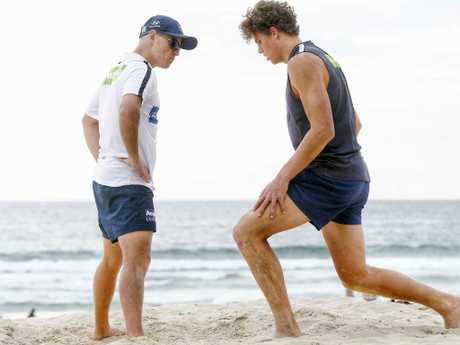 Heading into the 2019, the key forward looks to be everything, if recent photos of him during Carlton's pre-season camp on the Sunshine Coast are anything to go by. Having just turned 22, Curnow appears to be in the shape of his life heading into 2019 - and it's already got a few Carlton fans more than a little hot under the collar. To appreciate his dramatic transformation you have to first look at the teenager, who was described as "raw" heading into the 2015 AFL Draft. 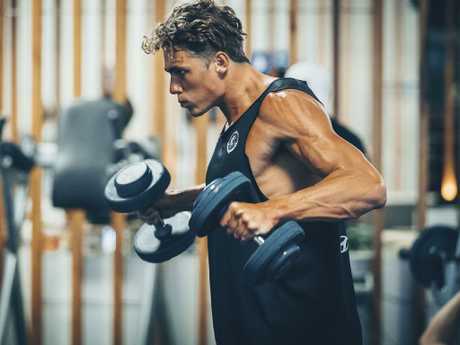 Ahead of his rookie year in 2016, Curnow was listed as a 1.91m, 95kg talent, still carrying a hint of puppy fat after missing most of his final season with the Geelong Falcons. Charlie Curnow was a different man in 2015. Clearly Carlton saw past his interim frame and went for Curnow hard in the 2015 Draft. It is one of the club's best decisions of the past few years. 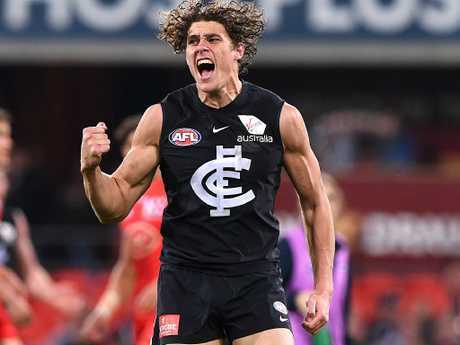 Curnow, who has now filled out at 1.94m and is clearly bulked up from the 94kg frame he played the 2018 season at, is now a key pillar in the club's future, after signing a long term deal last season through to the end of 2023. Charlie Curnow in the weight room this month. 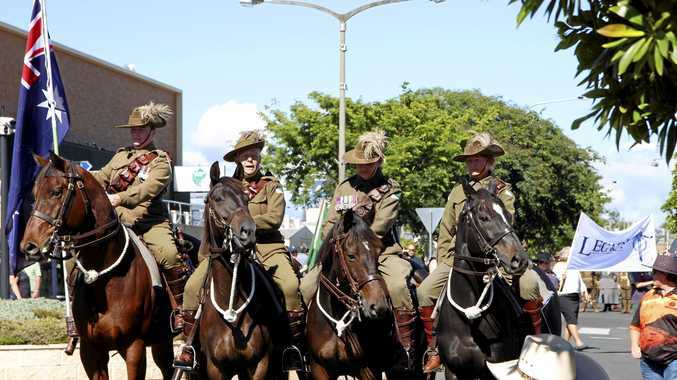 Many believe the future may even be right now for Curnow. After kicking 34 goals in 2018, Curnow is already under pressure to aim for 50 majors as Carlton attempts to climb up the ladder in 2019. There is reason to believe the hype too, with the new look Carlton forward line of Harry McKay and Mitch McGovern certain to stretch some of the best defences in the league. Charlie Curnow has been kicking goals. It's not hard to see why Carlton's new forward line triumvirate is what has Blues coach Brendon Bolton most excited ahead of 2019. "The McGovern-Curnow-McKay combination, they are mobile young talls,'' Bolton told The Herald Sun this week. Charlie Curnow at the Blues’ pre-season camp 12 months ago. "And they are difficult match-ups because they are so mobile. "But again it's not whether Charlie kicks four or five goals, McGovern, (Alex) Fasolo, it's about how the group works together. Sometimes you have to make sacrificial leads so someone else has a day out."